Since this blog is supposed to be about more than just running (it's been all running, all the time lately! ), I thought I'd share a few iPhone snapshots of some things I've been up to recently. Ready? Let's go! 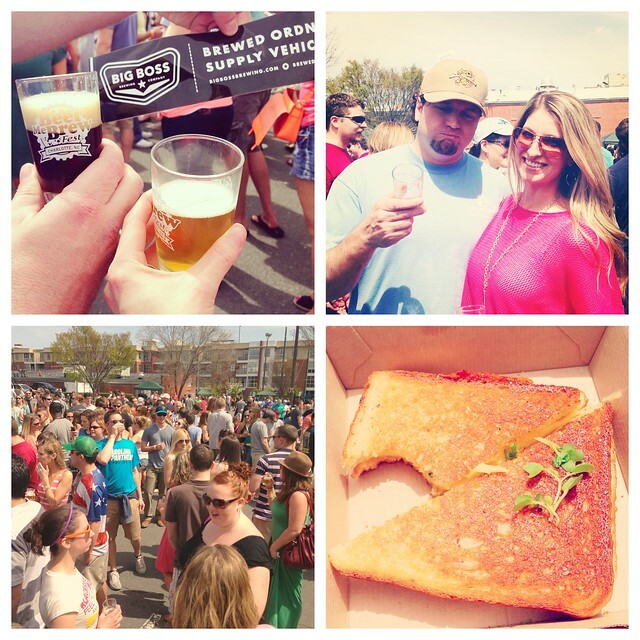 I went to a beerfest and had the yummiest grilled cheese ever from Papi Queso Streatery food truck. And really, a beerfest with food trucks, does it get much better than that? 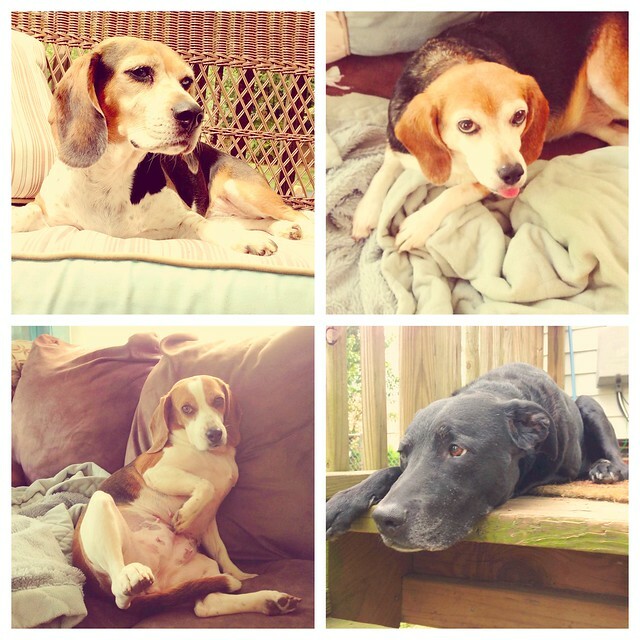 I've been hanging out with these adorable faces and they've been loving the spring weather! 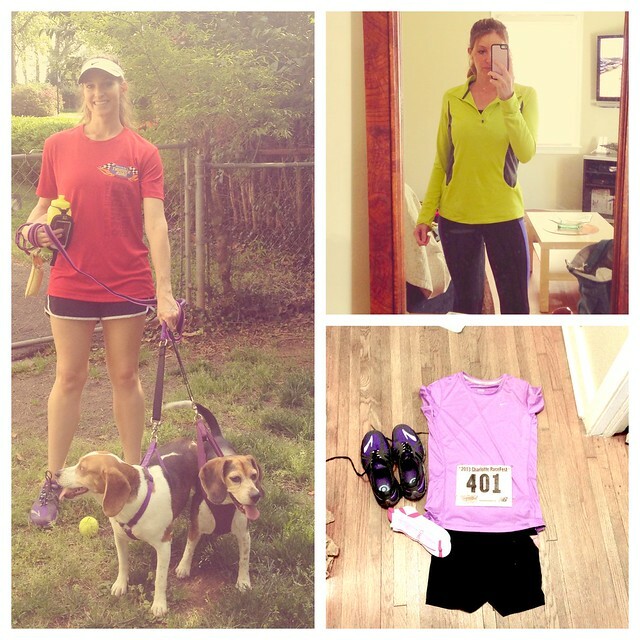 Speaking of the dogs, I've acquired some new running buddies (and took some pictures of running outfits). 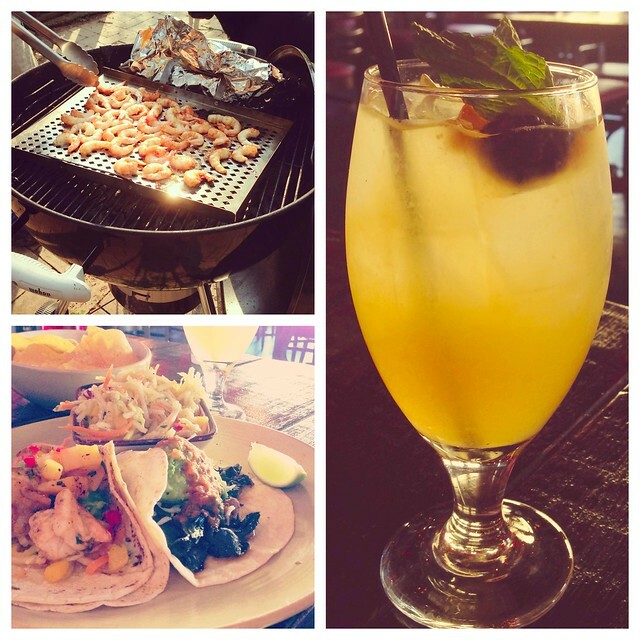 And I've been eating at some local restaurants, grilling in my backyard, and drinking some tasty spring cocktails. 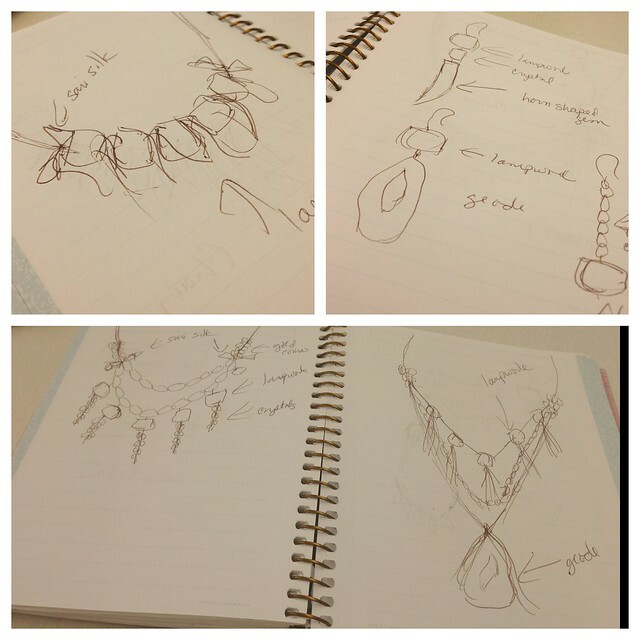 I brainstormed some new jewelry designs. Excuse the chicken scratch, it was just quick ideas. Eventually I'll get some pretty sketches together and order the supplies to actually make the jewelry! 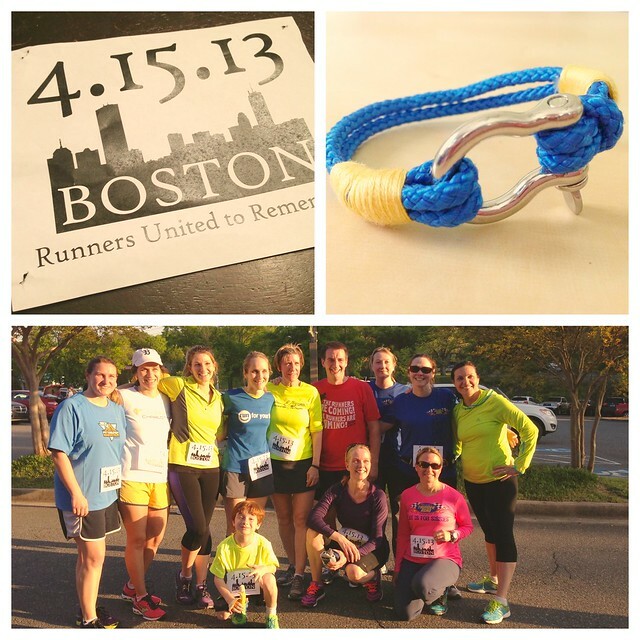 And lastly, I got together with some friends and fellow runners here in Charlotte to run the Run for Boston/Boston Strong honor run on Monday, April 22. So much for not posting about running, right, but only two snapshot groups out of six isn't bad, right? Right.